In a country of above 170 million people, the need for food cannot be over emphasised. According to statistics, the Nigerian population increases yearly by 2.8%. This means that the population will grow further, and need for basic human needs – such as food – will also increase. 2016 will not be an exception. Many people have resolved to become business owners, yet which sector of the economy to invest in is still unclear. Of a truth, investing on variety of agricultural businesses will not be a bad idea. The reason for this statement is not far-fetched. Agricultural businesses involve various activities, including: planting, rearing, production, and processing of agricultural produce essentially meant to meet man’s basic needs. Whatever business tailored towards meeting man’s primary need will always sell fast and generate expected income. Do you know that you can generate millions of Naira from these agricultural businesses, carefully investigated and suggested to those that are willing to hit it big in their investments in 2016. This is an area of agriculture you can invest your money in, this year and get back fat returns on your investment. Raising laying birds will help you to earn constant and consistent revenue from the sales of eggs laid each day. Due to an outbreak of bird flu in Nigeria in 2015, there is an acute shortage of eggs nationwide. You can take advantage of this situation to earn big in poultry farming. Let me also remind you that the federal government of Nigeria is set to feed primary school pupils nationwide with at least a meal per day. There is no way eggs will not be used to serve some of these meals. Do you have passion for poultry farming? Now is the best time to go into it and earn your millions. On my blog where I teach people about catfish farming, I have always said it that catfish farming is one of the most lucrative businesses in Nigeria, because you can get up to 200 percent return on your capital in a year. You can start small and grow big in it. The Federal government policy in Nigeria will help serious-minded investors to explore the opportunity in fish farming – especially when policy related to ban on importation of fish is fully implemented. Also, adding value to your catfish production will earn you additional fortune. As you prepare to setup a catfish farm, plan also to setup a catfish processing unit where you can process your fish for both local and international consumption. Also, due to many controversies on fat content of catfish, tilapia is becoming a choice of Nigerians, coupled with the fact that a ban on importation of imported fish will soon be fully implemented. Unlike catfish, tilapia can do well without animal protein. This means that the cost of production of tilapia fish per kilogram is lower compared to catfish, and the price of tilapia fish per kg is far higher than that of catfish. This is the most essential source of plant protein in livestock feed. It is also an important ingredient in human nutrition, especially in most parts of developing Africa. Soy beans processed as either soya meal or full-fat soya is used in poultry meal, catfish feed, and other livestock feed. Going into soy beans plantation will not be a bad idea this year. 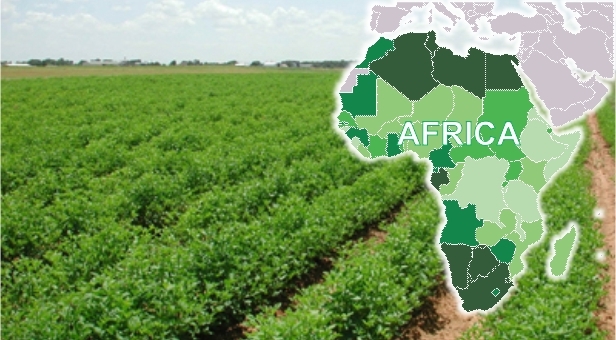 Another important reason why you should go into soy beans farming is the fact that dollar is so scarce that importers of soy beans will find it difficult to compete with the local producers. I can assure you that you will make millions by planting soy beans in commercial quantity. More so, soy beans processing is another business that will fetch you much returns on your investment. Soya oil can be extracted from your soya seeds, and you can sell the rest as soya meal. What are you waiting for? Take a step and increase your net worth. Nigeria is undoubtedly the largest producer of cassava in the whole world. As a result of short fall in supply of maize in the last planting season due to fluctuation in climatic conditions which is now manifesting in sharp price increase, there will be more demand for processed cassava as an alternative source of energy in livestock feed. Also, depreciated naira will make more Nigerians to depend more on locally produced food, among which cassava stand tall. Many investors in Agriculture overlook this aspect of agricultural business, and some even see it as farming practice meant for the poor in the society. This is not true. You can make it bigger and better through production of vegetables, especially now that there is great awareness by medical practitioners that vegetables should be included in our meals every day. By vegetable farming, I mean planting of different types of edible leaves and flesh that are part and parcel of our daily diet e.g. okro, spinach, jute leaves (ewedu), green vegetables, carrots, cucumber, etc. Now that dry season is reaching its peak, the price of these vegetables increase. You too can go into this business and make a fortune for yourself. Although not widely accepted in Nigeria for religious and cultural reasons, you can earn millions through pig production. Pig feeds majorly on waste and other supplements that are relatively cheap in the market and convert better than most other livestocks. There is high demand for pig meat in the South-East and South-South Nigeria, and even in some parts of South-West Nigeria. Produce your pork and sell in kilo. You will be surprised to see thousands of customers waiting at your door to trade with you. In this era of deforestation and urbanization, many delicious animals found in nearby forests have either been destroyed or displaced by migrating into farther forests. Yet, the desire for their delicious meat has never reduced. An alternative way of meeting the food needs of certain sector of the population in this regard will be a viable business idea that can be sustained and generate big incomes. Grasscutters reared in a controlled environment get into maturity between 6 and 7 months, and one can be sold for as much as 5,000 Naira. As a matter of fact, people will prefer grasscutter reared in a controlled environment to one from the forest due to health and hygienic reasons. Grasscutter feeds majorly on grasses, with little supplement of maize and other feed ingredients. So profitable! You can try this business and be counted among the rich this year and beyond. A careful look at government policy will make one see clearly how rice production can make one rich. Rice is eaten daily in almost every household in Nigeria and other parts of Africa. If the full implementation of ban on rice importation is in effect, there will be increased demand for rice locally produced in the country. Rice can be planted all year round depending on the variety grown. Maize can be planted all year round provided you can use irrigation in dry seasons. Maize is one of the most essential parts of human and animal nutrition. As at August 2015, dry maize cost around 72 Naira per kg. Now in February 2016, when we should be enjoying the harvest of new maize, when the price of maize should have dropped, the price has jumped to around 78 Naira per kg. With the trend of things, maize is likely to increase in price by 100 percent, and only those who will go into maize planting will benefit from this essential feed ingredient. As the rainy season is approaching, plan to plant maize and you will be happy for doing so. Apart from spiritual importance, ram and sheep are made up of healthy meat that can compete favorably with beef. Raising these kinds of animals down south (southern Nigeria) will be a real profitable business idea in 2016. Don’t forget that Salah is around the corner.